FScottFitzgerald is a Legacy Library. Legacy libraries are the personal libraries of famous readers, entered by LibraryThing members from the Legacy Libraries group. » F. Scott Fitzgerald's catalog. » F. Scott Fitzgerald's legacy profile. FScottFitzgerald is also an author. 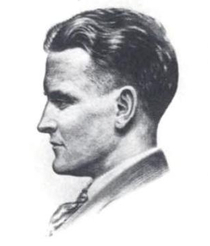 » See F. Scott Fitzgerald's author page. About meF. Scott Fitzgerald (1896-1940) was an American writer, most known for his work The Great Gatsby. A member of the "Lost Generation", he was considered one of the best writers of the Jazz Age. About my libraryMy holdings as listed are from the records of the Princeton University Library.